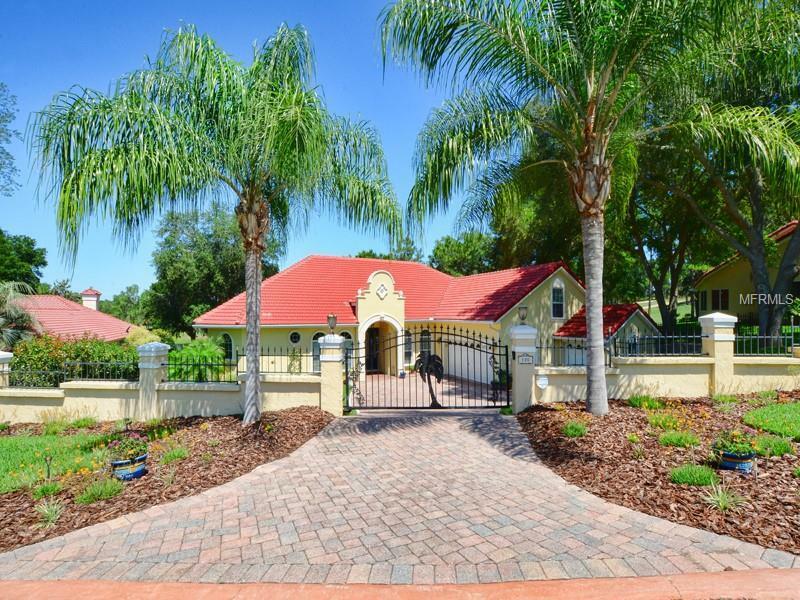 IMPRESSIVE POOL HOME AT MISSION INN...... Terra Cotta Tile Roof...flowing Wood and Tile floors and a Fabulous up close and personal view of the water and the World Famous Mission Inn Country Club's very own El Campeon 18 hole golf course. Over 3,000 Sq. Ft. of generously proportioned rooms, Crown Molding and Tray Ceilings. This Grand Home offers 3 large bedrooms and 2 and 1/2 baths and a 2nd floor Bonus Room which could be a Wonderful 4th bedroom, Art Studio or your favorite "Get Away Spot" You will enjoy the Formal Living and Dining Room and a separate Family room with a custom Cypress wood ceiling. Many upgrades to this home include Security System, Radio Intercom thru out home, Upgrade Stainless Steel Appliances, Water Softener, Granite Counter Tops, Gorgeous Electric Fireplace, Washer and Dryer, newer pump and Heater for the Pool, Central Vacum System. This is a home with everything you would expect, including a Garage for 3 vehicles, Brick Paver Driveway. You will assuredly enjoy the Enclosed Sparking Blue Pool along with the Jen Air Built in Grill and Wet Bar for relaxing entertaining. This Spectacular Residence is just waiting for you to come and live the Wonderful Florida Lifestyle. This Private Gated Home is Offered at 450,000 Please note...unlike most of the Mission Inn Country Club homes, this Fabulous home has NO Home Owners Assoc. Fee ! !